How to win: Comment on 2 of our 6 social media platforms this week. The social media icons are located on the bottom of our website. 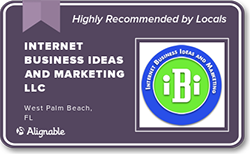 Just a word to the wise, if you say something nice about Ibi Marketing it won’t hurt your chances.